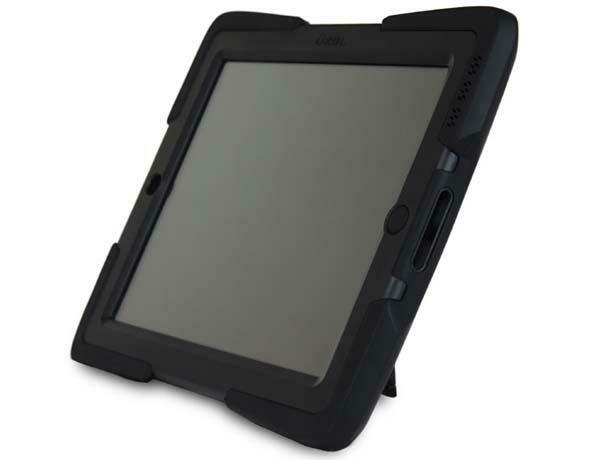 The ShockWave is a strong and versatile protective case designed for iPad 4, iPad 3 and iPad 2. As we can see from the images, the iPad case features rugged, tough construction, and comes with a durable built-in screen protector in order to protect your iPad from shocks and scratches. 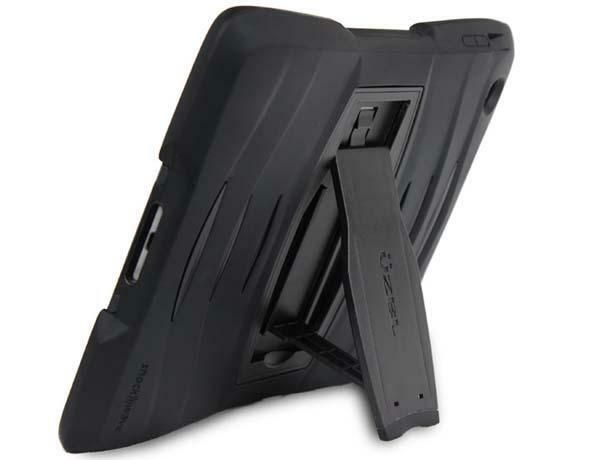 Moreover, the iPad case also features a six-angle integrated iPad stand to hold your device in landscape viewing mode for handsfree entertaining, and you can also use a hand strap to replace the kickstand for comfortable grip experience. Apart from that, the custom cutouts allow you access to all buttons and functions of your iPad. 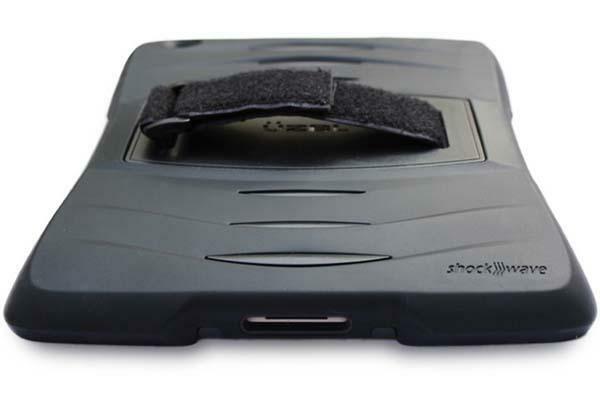 The ShockWave iPad case will be available soon, but the pricing hasn’t been unveiled. If you’re interested, jump to Uzibull official site for more details or check out the following demo video first. Additionally, also don’t miss other nice options via “iPad case” tag.